Following the death of a 31-year-old man by plague in the central highlighlands of Madagascar at the end of August, the infectious disease has spread across the country. There have been at least 1,297 reported cases, including 102 deaths, as of 20 October. However, obtaining accurate information on the scale of the outbreak is a challenge, underscoring the importance of expanding community surveillance and engagement. Caused by the bacteria Yersinia pestis, plague has caused enormous loss of life throughout history, and despite being treatable with antibiotics, continues to take lives today. The disease comes in various forms. Bubonic plague is transmitted from animals to humans, for example through flea bites. This bacterium can travel to a person’s lungs and cause pneumonic plague, which spreads from person to person through plague-infected droplets in the air. The pneumonic strain is especially contagious and is fatal if not treated early with antibiotics. While plague is endemic in Madagascar, with cases of bubonic plague reported every year, this outbreak is exceptional because its spread is predominantly pneumonic, accounting for 65 per cent of reported cases. Transmission in densely populated urban areas is contributing to the rapid spread of the disease, while limited health capacities in affected areas such as Antananarivo and Toamasina is making the situation especially challenging. 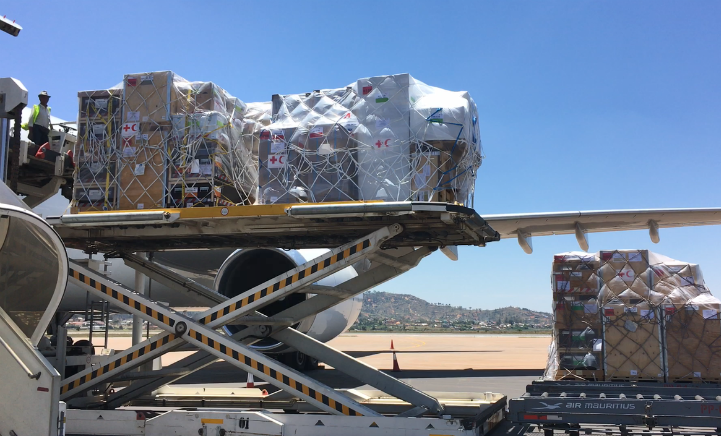 The Malagasy Red Cross is working with the Madagascan government and international partners to scale up its reach and minimise the further spread of the plague. More than 2,660 volunteers have been mobilised to work across 22 regions of the country. In addition to bringing their collective knowledge from experience working with the plague, mainly in its bubonic form, volunteers are being trained to respond to the new challenges of the pneumonic outbreak. Volunteers are key in ensuring access, and implementing tailored prevention and treatment interventions, as well as communicating key messages to vulnerable communities in a culturally appropriate way. By providing life-saving information on how to stay healthy, where to seek treatment, and how to improve environmental sanitation, they are crucial in reducing the fear and stigma associated with the plague – something which could undermine containment efforts. The work on the ground is being supported both technically and financially by the International Federation of Red Cross and Red Crescent Societies (IFRC). In addition, health experts and disaster management professionals from the Benin Red Cross, Canadian Red Cross, Danish Red Cross, French Red Cross, German Red Cross, Finnish Red Cross, Netherlands Red Cross, Norwegian Red Cross, Rwanda Red Cross and Senegal Red Cross are complementing the Malagasy Red Cross’ outbreak response. It is important to listen and respond to the rumours and fears surrounding plague, and encourage social and behavioural change to reduce potential contagion levels. Red Cross community mobilisation activities therefore focus on sharing clear, simple health information with communities through trusted channels. Feedback from this work at the local level will also be used to evolve the community outreach strategy. Identifying the people who have been in contact with carriers of the disease enables new cases to be detected early and referred for treatment. To this end, an effective information-management and a coordinated contact tracing approach is being set up, while extra efforts are being dedicated to ensuring the safety and wellbeing of volunteers. Managing the burials of the deceased is a necessary task to reduce the further infections. Red Cross partners are working to establish a system for mobilising Safe and Dignified Burials teams in collaboration with the Madagascan Ministry of Health and other actors, while ensuring the teams are equipped with the relevant safety standards and protocols. Looking after the psychosocial wellbeing of those affected, as well as the staff and volunteers involved in the response, is vital to counter-acting the threats posed to public health and safety by misconceptions, fear, and stigmatisation. Activities focused on making psychosocial support services available to patients post treatment aim to provide the necessary care and to facilitate their return to their communities. Most national hospitals and health centres are overburdened, so need additional support. 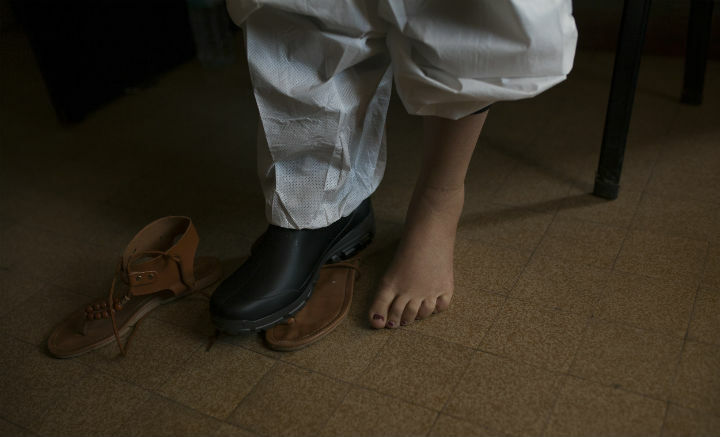 Coordinated by the IFRC and supported by the German Red Cross, a plague treatment centre will operate using national health staff in addition to the international medical team. Work will involve procuring protective equipment, recruiting healthcare professionals, and maintaining quality standards in care from the intake to the release of patients. Limiting the extent to which animals contribute to the spread of plague is important to minimise the spread of the disease, for example through separating humans from rats, chemical control of fleas, and rat control. Efforts to foster strong community engagement are particularly important for these activities, which are time and labour intensive at the household level. 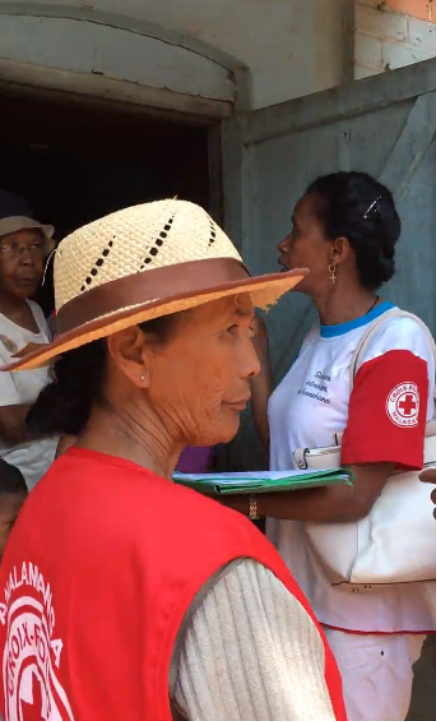 In addition, Malagasy Red Cross volunteers are providing further support by conducting household disinfection where there are confirmed cases of the plague. Quick, decisive action is needed now to save lives and prevent an even greater impact. This plague outbreak reinforces the urgent demand for investment in communities, proper sanitation, and health infrastructure. A multi-targeted approach that focusses on a scaled-up medical response to the current spread of disease while continuing to put in place prevention measures for the future, is crucial to addressing this and future outbreaks. The IFRC has launched a CHF 5.5 million emergency appeal to support the Malagasy Red Cross Society to deliver assistance to some two million people over the next 18 months.